Let’s sidestep the politics of gun control for the time being and look at this piece of trash. 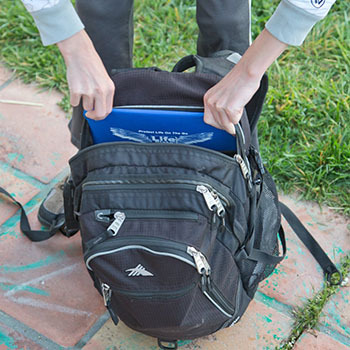 It’s called “LifePlate”, and it’s a bulletproof plate your child carries in their backpack, to be used as a shield in case of a school shooting. It’s despicable to prey on the fear of parents by selling them an extraordinarily expensive piece of plastic.